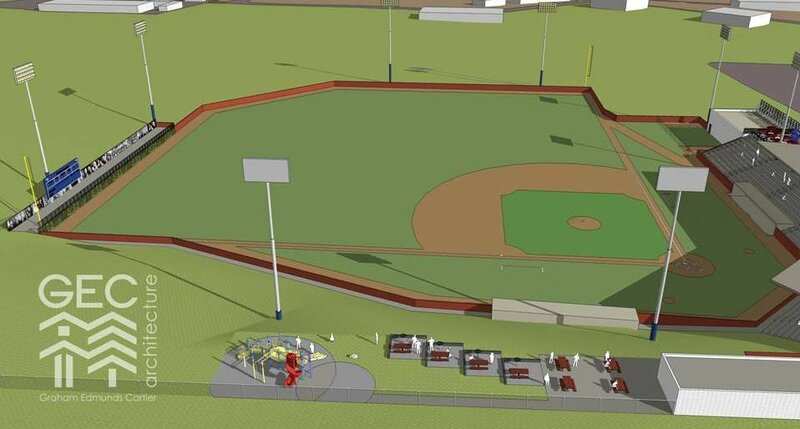 PRESS RELEASE – On Monday, Cranbrook’s Home Run Society delivered their completed baseball stadium feasibility study to Cranbrook City Council. 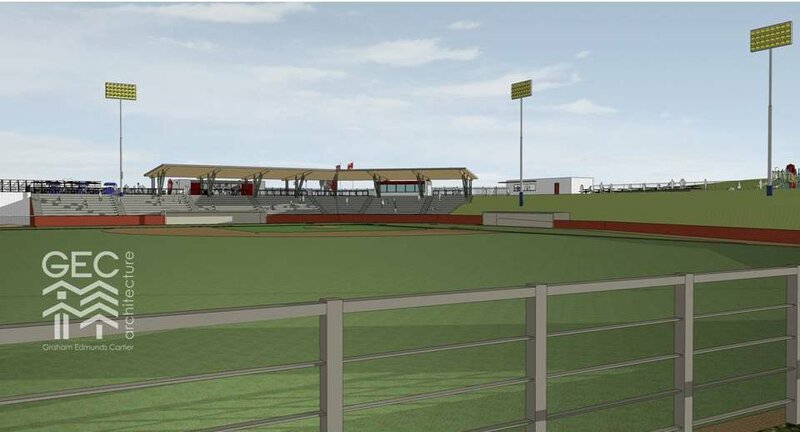 The proposed stadium was the centre piece in Cranbrook’s bid to the WMBL Board of Governors last December, and at full build-out the stadium will have 900 fixed seats and a grass berm that can accommodate an additional 900 fans. 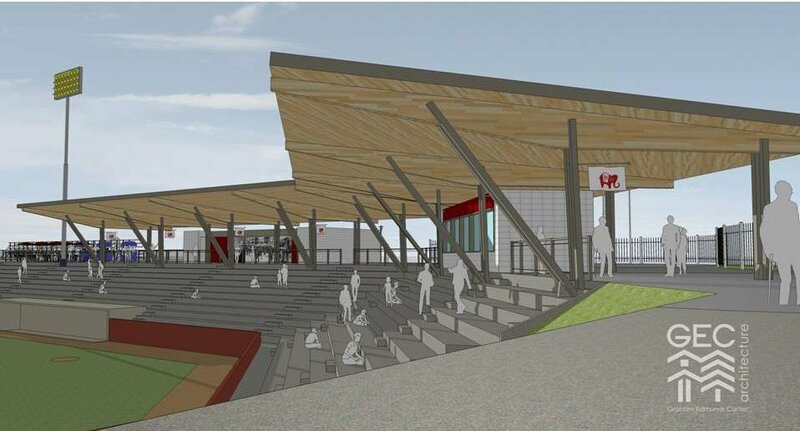 Along with the usual compliment of concessions, washrooms, clubhouses and media booth, it also features some unique elements such as a home run deck in left field, children’s playground, patio and picnic area. The feasibility study follows on the heals of the announcement of the team’s name – the ‘Cranbrook Eds’ – which was taken from a historical event in 1926, when a group of elephants escaped from the Sells Floto travelling circus that was visiting Cranbrook. Most of the elephants were caught soon after escaping, but one elephant named ‘Ed’ remained elusive for weeks, finally being tracked and captured by Ktunaxa guides. The lost elephant story put Cranbrook on news headlines around the world, and left the region buzzing with excitement. The Sells Floto circus felt it only appropriate to re-name the elephant ‘Cranbrook Ed’ to honour the citizens who had supported their long effort to capture him. The new stadium has been branded with Cranbrook Eds logos, and also has a statue of the elusive elephant that will welcome visitors as they enter the stadium. Part of what the Home Run Society was trying to accomplish in the design. 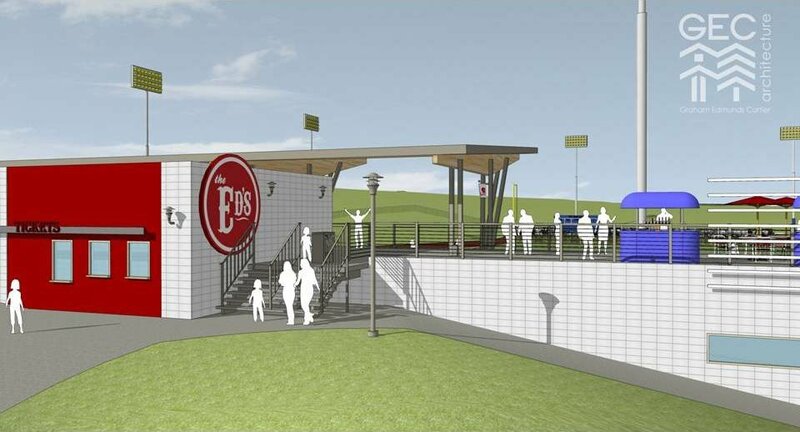 The Home Run Society is now working on a business plan for all aspects of the new stadium and baseball operations, and will work with the City of Cranbrook to work towards the goal of seeing the stadium built. The Home Run Society is an incorporated Non-Profit Society that has the vision to grow the sport of baseball in Cranbrook through the improvement of facilities, support of tournaments and teams, and modelling for young players. The WMBL is Canada’s pre-eminent summer collegiate baseball league. Every year hundreds of college players from across North America come to the WMBL to play baseball during their summer holidays. The WMBL is widely known for affordable and family friendly entertainment, while providing high quality baseball for enthusiastic fans in towns and cities throughout Western Canada.